When will be Way Out next episode air date? Is Way Out renewed or cancelled? Where to countdown Way Out air dates? Is Way Out worth watching? 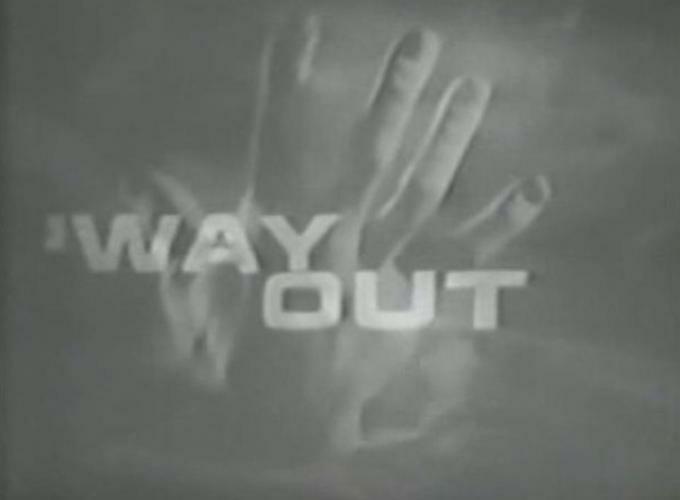 Way Out was a very macabre videotaped series which aired 14 episodes during the spring & summer of 1961. It aired in the 1/2 hour slot just before The Twilight Zone on Friday nights. Each week host Roald Dahl would introduce the play with a very twisted humorous monologue that always began with the phrase, "How are you?" and end by telling you the story would be "WAY OUT" while giving a rather re-assuring nod. The stories were very strange. Often containing creepy but witty dialogue, and ending with a bizarre twist. They were, perhaps, more odd then The Twilight Zone and more twisted then Alfred Hitchcock presents. Stories included, An unsympathetic professor who, on his deathbed, is given an opportunity to have his brain kept alive in a tank after he dies, A woman who continuously has nightmares and wakes up still dreaming, a cold hearted actor who find that is unable to remove his "Quasimodo" makeup, an actress who rehearses at night and discovers the actors really murder their victims and a men who forms a bond with a headless woman that is kept alive by electricity. This is strange stuff indeed! There was never another series quite like it. After each play, Roald Dahl would close with another humerus monologue that always ended with a pleasant, "Good night - and sleep well...."
EpisoDate.com is your TV show guide to Countdown Way Out Episode Air Dates and to stay in touch with Way Out next episode Air Date and your others favorite TV Shows. Add the shows you like to a "Watchlist" and let the site take it from there.